A new project to help rough sleepers in Thanet has been officially launched. 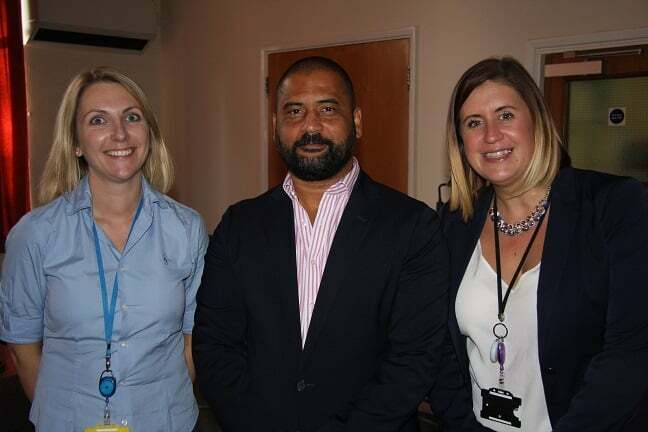 RISE – Rough sleeper Intervention, Support and Empowerment – is a partnership between Porchlight, Thanet District Council, Kent and Medway NHS and Social Care Partnership Trust and the Forward Trust. The project also involves the Thanet Winter Shelter, Salvation Army and Paramount Independent Property Services. 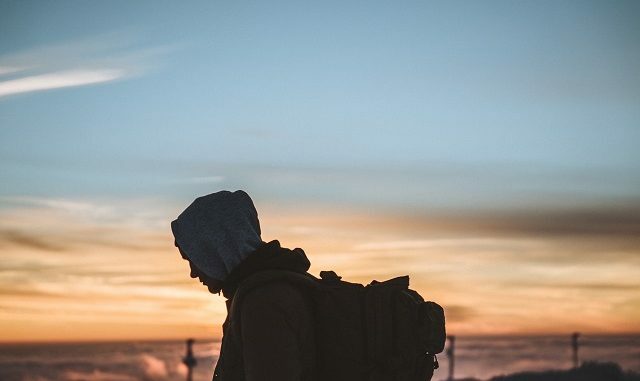 It has been created to address health and wellbeing as these can often be barriers for rough sleepers when they are trying to find and keep accommodation. Thanet RISE is unique as its team is made up of four Porchlight workers working alongside a council officer and a dedicated substance misuse and mental health worker , all based at the council’s offices in Margate. The aim of the scheme, which was launched on October 10 to coincide with World Homelessness Day, is for those in need to get support and help as quickly as possible, taking away the time spent making contact and referrals to other organisations. It also considers the way rough sleepers access support – which can often be too overwhelming if services are offered from different places. The work involves the team carrying out early morning and late night outreach to identify people who are rough sleeping across Thanet. They then work with rough sleepers to develop a support plan that tackles any underlying reasons that would prevent them from finding accommodation. This can range from providing food and clothing, helping someone to complete applications, obtaining identification, supporting emotional and mental wellbeing, physical health, practical skills or support with any substance misuse. Another part of the project, is a new scheme, owned and managed by Paramount Independent Property Services. This is a supported housing environment which offers a range of services so residents can secure their own tenancies. So far, five people have moved into this accommodation with another two due to move in. The launch event was attended by David Johnson, rough sleeping advisor from the Ministry of Housing Communities and Local Government. 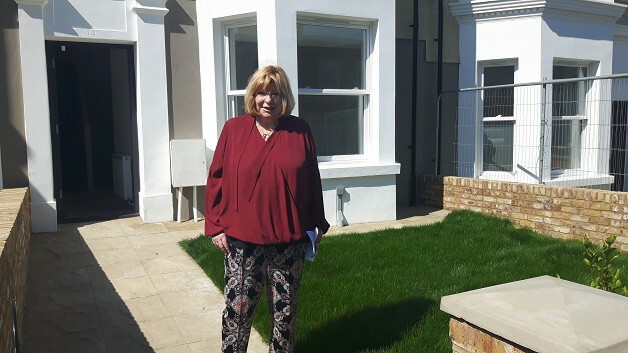 Cllr Lesley Game, Cabinet Member for Housing at Thanet District Council, said: “Over recent years, we have seen how social and economic factors have had a critical effect on the housing and homeless situation across the UK, and Thanet is no different. We face many of these challenges in our community, so I am extremely encouraged that we have secured this funding until 2020. It will allow us to extend the work we already do in Thanet and support some of the most vulnerable people in the area. At the launch, Mr Johnson commented on how efficient Thanet has been in tackling its homelessness situation since initial contact was made in June. He also commended the council’s commitment to drive forward the project in a short space of time, and how it is already showing positive results. Since the project started its work in August, the team has helped five people who were rough sleeping into supported accommodation, and a further eight people are now in accommodation. In June the Secretary of State for Housing, Communities and Local Government, Rt Hon James Brokenshire MP, announced Thanet had been awarded a £367,322 share of the cash from a total fund of £30m to support those sleeping rough and those at risk in 83 local authorities with the highest need. The team was established through this funding. The authority has been provisionally awarded £483,000 for 2019/20. The final allocation will be dependent on progress made in the delivery of the 2018 programmes and services. According to Thanet council leader Bob Bayford data from October 3 (2018) showed 40 people reported as sleeping rough in Thanet. Call 24 hour free Porchlight phone helpline 0800 567 7699 or from a mobile on 0300 365 7699. 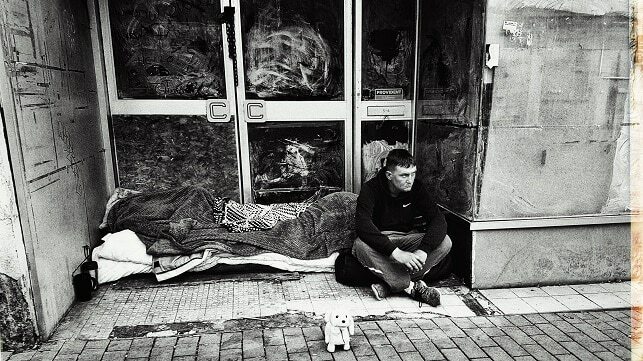 There should be plenty of accommodation in THANET so that no one need be homeless. I understand the students accommodations that was being used at the One time Christ Church College university in Westwood Road Broadstairs is now empty and up for sale. There are I am informed over 50 rooms all with en suite. Why not put them to good use and stop people sleeping on the streets. You got the 5million they want for that? What is going on with the chap outside Lloyds Bank in Margate? He has been living in their doorway for at least two years now, prior to that he was living outside Boots, has he refused all help? Do the council even care? Steve – I have pursued this matter with Lloyds Bank. Lloyds Bank is quite happy for him to be there (I don’t think he sleeps there – just spends his day there collecting money, food, drink and sympathy). There is help available for those that want it but many prefer their chosen lifestyle. Sadly not all rough sleepers will engage with agencies designed to help them. It is good this funding has been made available but it is only short-term not a permanent solution. I wish the team all the best and know from experience they go above and beyond to help some of the most vulnerable members of our community. As I said on a previous post-it is fine for councilors to leave homophobic voicemails on a gay councilors phone & in fact be rewarded by being promoted to KCC rather than being reviled, fine for a councilor to dream up some ludicrous DNA dog scheme supported by other councilors that also appear to not have a functioning brain, or just like wasting taxpayers money, that no dog fouler would even subscribe to & then mysteriously lose the majority of details about it when the FOI requests come in as to how much it cost & it was fine for a councilor to lie about his military service & go on a shoplifting spree with his partner who was also a councilor. Yet heaven forbid a councilor actually doing good for a quarter of a century accepting a council job to help the homeless even further. What a strong moral compass TDC is. No mention either of the Thanet Churches which offer the all night accommodation and meals free of charge all winter long. Is this the same Winter Shelter scheme or do we now have two seperate schemes for the homeless? It is mentioned in the article. The Thanet Winter Shelter is the scheme you referred to and uses various churches for overnight accommodation.